A washing machine repair man was recently fined £200 for not having a ‘no smoking’ sign on his van. The fact that he doesn’t smoke was considered irrelevant by the local authority’s enforcement officer. The law says that if you operate a vehicle for work which at least one other person uses for work, you must display a no-smoking sign. It doesn’t matter whether you or anyone else actually smokes in the vehicle. The issue has had its fair share of press coverage for being rather disproportionate and unexpected. So I thought I’d provide just a few details about the non-smoking laws generally. With few exceptions, smoking is banned in enclosed public spaces and work spaces where more than one person work, even if they work at different times. It is also banned in places that the public may attend to obtain goods or services. The legislation specifically applies to work vehicles that are used by more than one person for work. A privately owned car used occasionally for business is exempt. There is no general prohibition on smoking in company cars that are used for private use – that is up to the company. Driving to work probably does not count as work – but it may not always be clear where the distinction lies: for example, see this 2008 story about a painter. And remember that is now an offence to smoke in any vehicle with children. The rule applies to any substance that might be smoked. The smoking ban does not apply to e-cigarettes as nothing is burnt, however the issue of whether e-cigarettes should be more regulated is frequently discussed, so it’s worth keeping an eye on this. Smoking where it is prohibited – which could receive a fine of £50, reduced to £30 if paid within 15 days. Failure by anyone who controls or manages smoke-free premises to stop anyone from smoking in their premises. This could lead to a £2,500 fine. Failure to display the non-smoking sign in each separate compartment of their vehicle, the fine for which has been set at £200, reduced to £150 if paid within 15 days. We hope this is helpful. 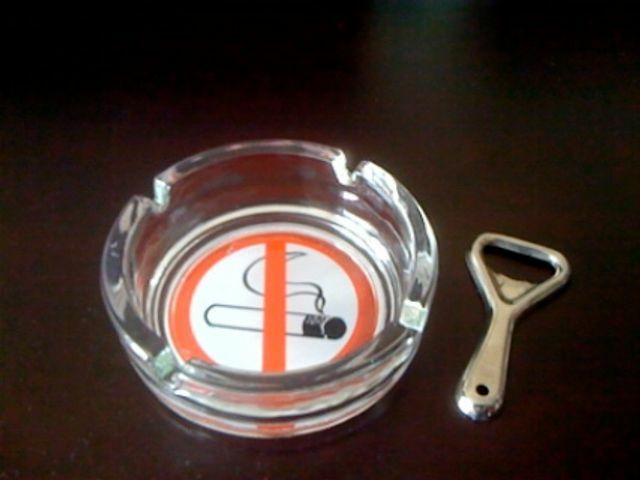 And if you require further advice on these issues, you may wish to join our community; on elXtr we have a guides specifically about smoking restrictions in the workplace. A WASHING machine repair man has been slapped with a £200 fine for not having a ‘no smoking’ sign on his van – despite the fact he doesn’t smoke.